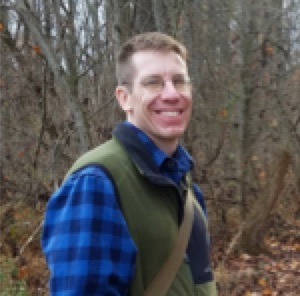 Keep Pennsylvania Beautiful Wednesday announced Rob Dubas has joined KPB as the Illegal Dump Free Program Coordinator. Dubas will help facilitate their Illegal Dump Free PA initiative across the state, working with local governments, communities, and enforcement agencies to identify and hold accountable individuals and businesses that choose to dump their trash illegally. IllegalDumpFreePA.org is an innovative program launched in 2015 that provides surveillance camera loans, training and support to Pennsylvania municipalities and community groups. “I'm excited to work with the towns and cities across PA to combat dumping. Whenever I had mentioned to friends or family about starting at Keep PA Beautiful, almost everyone said they knew of an unsightly dump in their neighborhood. That emphasizes to me how widespread the problem is and how it affects all of the state; urban, suburban, and rural areas included,” said Dubas. After working in banking for almost a decade, Dubas went back to school to earn a Master of Environmental Science and Management from Duquesne University. He decided to change careers to one that made protecting the environment a priority after having spent many hours in the woods volunteering with Pittsburgh-area trail groups, mountain biking, running, and hiking. As part of his studies, he also had internships with an area land trust and a long-term water-quality research project. "We are excited to welcome Rob to our team. The combination of his education, passion for the outdoors and respect for nature and the environment makes him a perfect fit to advance the Illegal Dump Free PA program and our mission to empower Pennsylvanians to keep our communities clean and beautiful. Rob shares the values and vision of Keep Pennsylvania Beautiful and will serve as a great resource to the Illegal Dump Free PA initiative and the organization as a whole," states Shannon Reiter, President of Keep PA Beautiful. The Keep Pennsylvania Beautiful Surveillance Camera Loan Program provides grant recipients with three surveillance cameras to capture evidence of illegal dumping at an active dumpsite and technical assistance with installation. To learn more about the program, visit the Illegal Dump Free PA website or contact Rob Dubas by sending email to: rdubas@keeppabeautiful.org or call 724-836-4121 x107.